Anybody who was anybody in pre-Confederation Canada went to Montreal to have a portrait taken by photographer William Notman. Allan MacNab made the journey in 1861, a year before his death. Spec Archives. 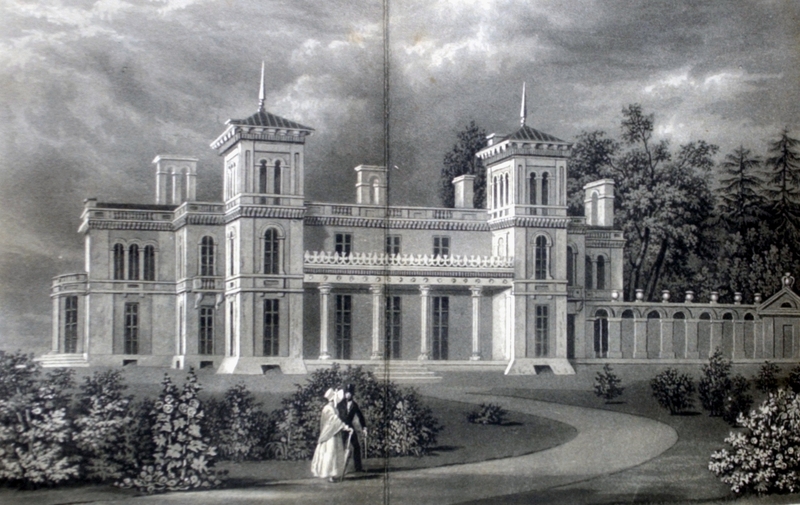 An early drawing of Dundurn Castle, built between 1833 and 1835. Below: The plaque at what is now a national historic site. Spec Archives. MacNab was a boy soldier in the War of 1812 and later fought against William Lyon Mackenzie’s Upper Canada rebellion in 1837. 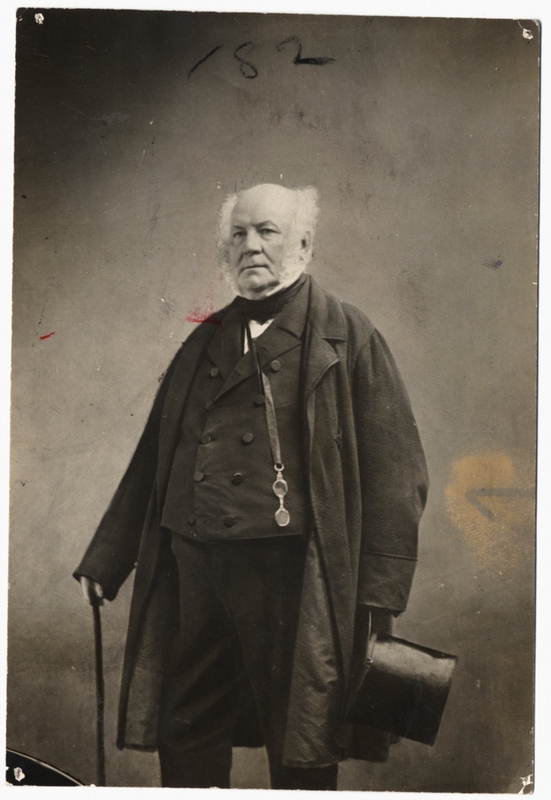 A lawyer, he became what was known at the time as the Prime Minister of Upper Canada (1854-1856) and served as acting as speaker for both Parliament and the legislature during more than 25 years in politics. Above Left: This portrait is the oldest object in the Parliament of Canada Heritage Collection. Right: MacNab ate rich food to excess, all his life, and lots of it. He liked his drink too. 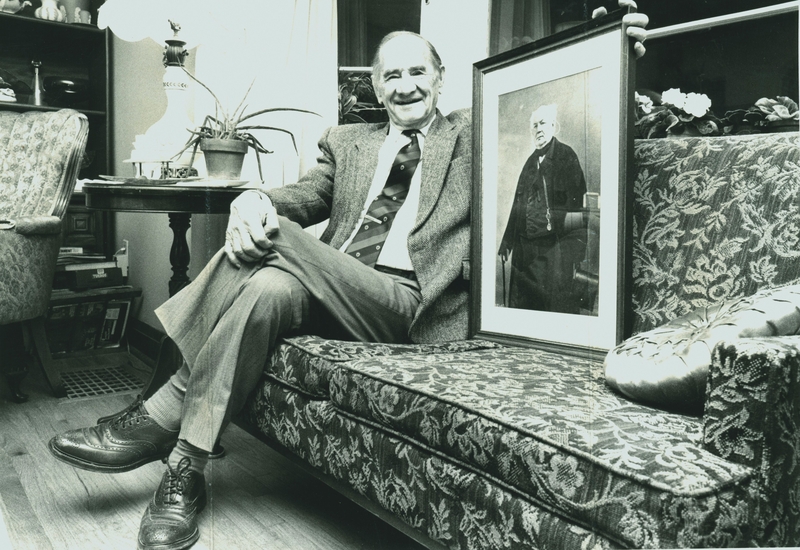 In this file photo from the Spec Archives, Janet Kronick, Historic Kitchen Coordinator at Dundurn, is pictured in front of a portrait showing a heavy MacNab. The late Mel Bailey. Spec Archives. Sir Allan’s birthday is celebrated annually by The MacNab Circle, founded by the late T. Melville Bailey, shown above in his living room with a the portrait of Sir Allan in this undated photo from The Spectator’s archives. 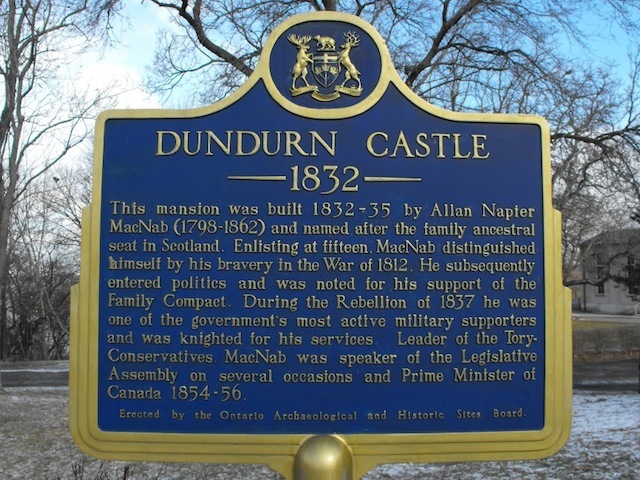  Archived in Flashback and tagged Hamilton Ontario, Sir Allan MacNab. Bookmark the permalink. 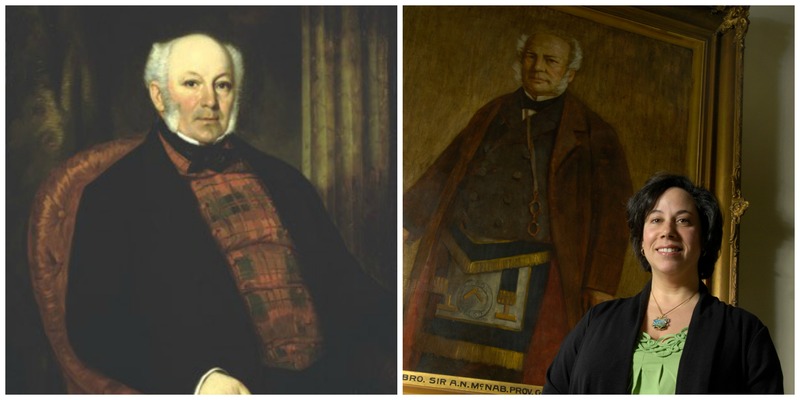 As a student of Sir Allan Macnab I had no idea of this history, thanks for sharing spec!